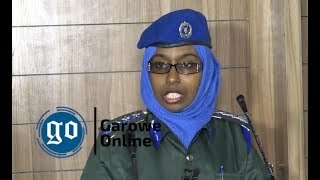 GAROWE, Somalia, May 24, 2015(Garowe Online)-Yemen for the first time launched a consulate office in Somalia’s northeastern state of Puntland with high ranking officials from both sides present on Sunday, Garowe Online reports. 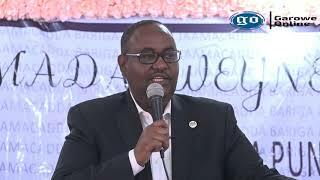 Puntland President Abdiweli Mohamed Ali, Yemeni ambassador to Somalia Mansur Ali Rayash Al-imrani, cabinet ministers, parliamentarians and Yemeni refugees representatives attended a launching ceremony held at Ga’ayte hotel in the Gulf of Aden port city of Bossaso. 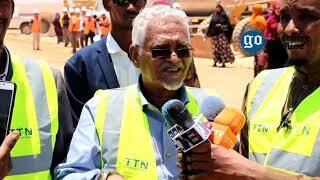 Ambassador Al-imrani thanked Puntland government and people for their warm welcome for Yemenis fleeing from the conflict. 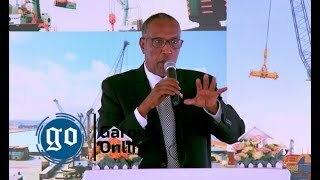 On his side, speaking at the launch of first consular services by Yemen, Puntland President stressed that they stand by Yemenis, saying Puntland is the second home of distraught people from the war-torn Arab country. Ali added that Yemen hosted Somalis at the peak of the civil war, and asked Somali people to do the same, and more wholeheartedly receive Yemenis. 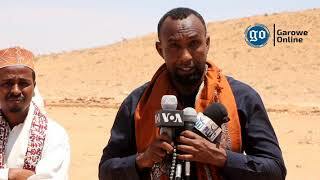 Continuing, Puntland leader appealed for immediate international assistance for arriving refugee influx, calling on warring sides in Yemen to halt the ongoing conflict. Puntland officials put the number of refugees at over 5000, with largest Somalia-bound boat being docked at Bossaso seaport two weeks ago.